One perk of being a Remind Connected Educator (RCE) is representing Remind online and at events. Here’s how to spread the word—and get swag. Click here to learn more about becoming an RCE. Download the official RCE badge and resize it however you’d like. Add it to your classroom door, email signature, and everything in between. Remind does monthly giveaway contests exclusively for RCEs. Join our Facebook group, connect with other educators, and stay tuned for the next opportunity to win. 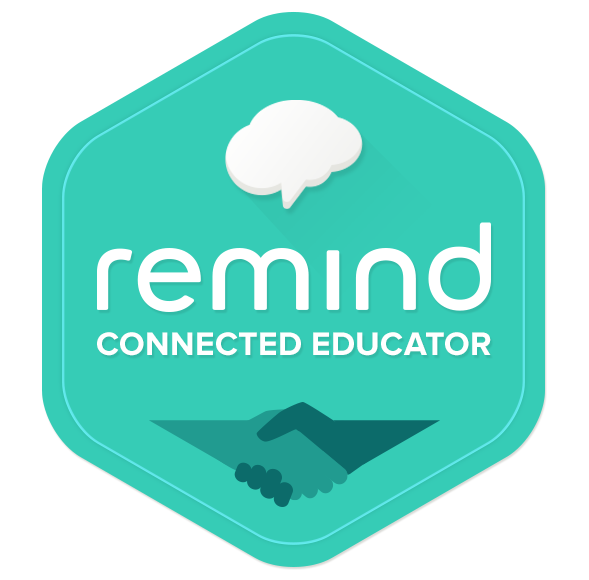 Sharing Remind at a Professional Development in your school or district? We have a beautifully designed slideshow, handouts, and tips ready to go here. (4) Summary of request: indicate whether your event is a conference or edcamp. (5) Description: paste a link to the conference or edcamp website. (6) Event date: enter the date the event starts. (7) Mailing address: we’ll ship swag to this address—don’t forget your zip code! (8) Attachments: if you’re submitting a request for a conference, please attach a screenshot that confirms you’re speaking or hosting a session. We’ll email you within one week to confirm whether we can accommodate your request. Note: Remind is only able to ship swag within the United States.